Description: Engraving from portrait of Rev. John Cotton (1584-1652). (It also might be Rev. John Cotton’s grandson, Josiah Cotton (1679-1756), Justice of the Peace in Plymouth, or a great grandson of Rev. 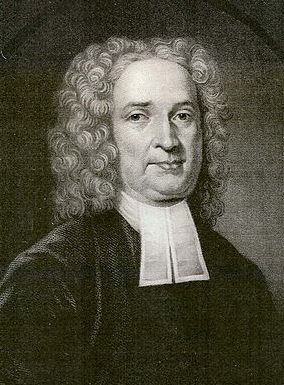 John Cotton, John Cotton (1693- ), the third minister of Newton, Massachusetts. See details for additional information: RESEARCH INTO PORTRAIT/S OF REV. JOHN COTTON. Credit: Drake, Samuel G. The History and Antiquities of the City of Boston ... from Its Settlement in 1630 to the Year 1670: With Notes, Historical and Critical Also, an Introductory History of the Discovery and Settlement of New England. Boston: L. Stevens, 1854, opposite p. 158.